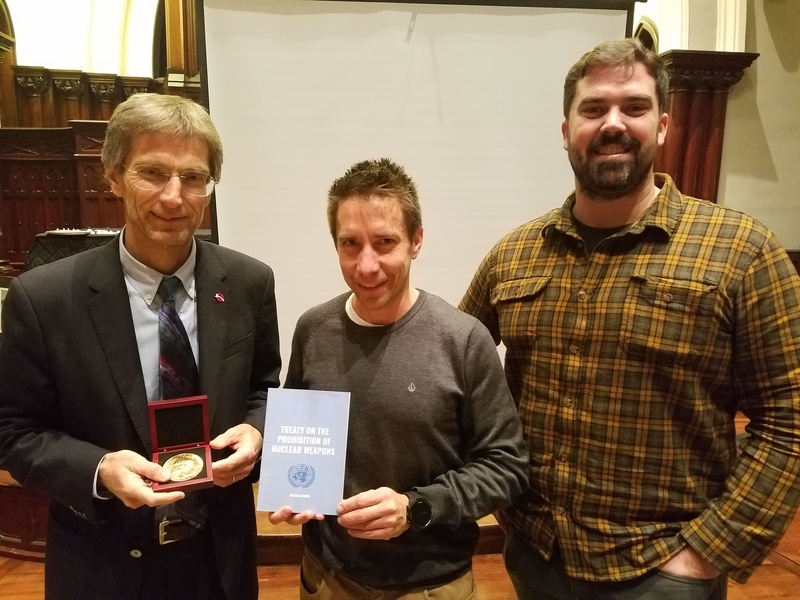 The War Prevention Initiative was honored to co-host Nobel Peace Laureate Tilman Ruff from the International Campaign to Abolish Nuclear Weapons. 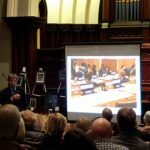 As members of this international civil society campaign, it was a privilege to meet and listen to one of campaign’s co-founders. 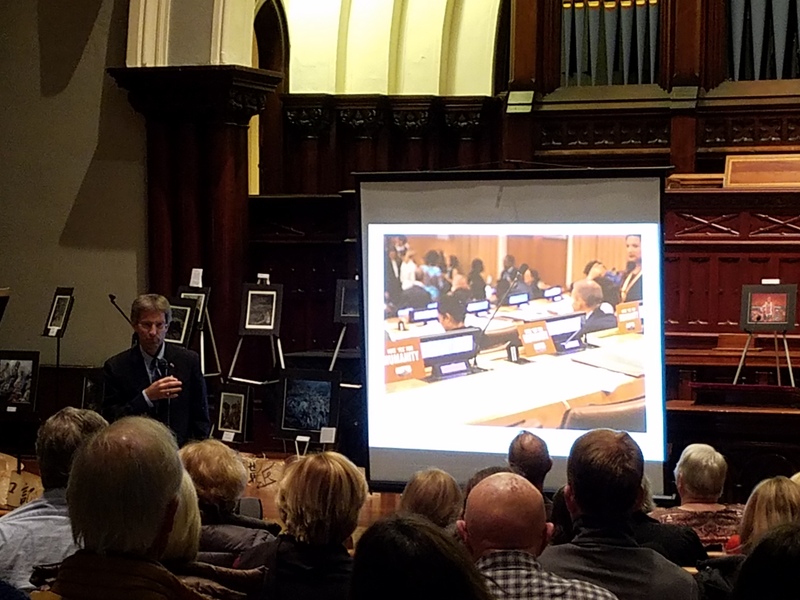 Ruff gave a talk entitled Before They End Us: The New Global Movement to End Nuclear Weapons and Protect Planetary Health, a discussion about nuclear weapons and the nuclear disarmament movement. The evening began with the exhibit Children Remember: Nuclear Stories Through Memories, Relationships, and Art by artists Yukiyo Kawano and Oregon PSR Advisory Board member Chisao Hata. This powerful exhibit arose out of a collaboration between atomic bomb survivors, or hibakusha, and high school student artists living in Hiroshima, and is an evocative exploration of the tragedy of nuclear weapons use.